Now that your garden is planted and growing, it’s time for the weeding, watering and overall general garden care to begin. Ahhh! The fun stuff. In this section, I provide tips and techniques for maintaining your garden throughout the entire growing season. 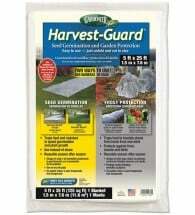 I also provide details on protecting your organic garden when the weather turns cold. While rotating crops is often a technique used on big commercial farms, it’s also good for smaller backyard gardens. The basic principle of crop rotation is to grow specific groups of vegetables in different areas of your garden each year. This helps manage soil fertility and reduces the risk that soil borne diseases and insects will become a problem. If possible, you want to move your plants around in a sequence so they don’t return to the same spot for at least three years. When Mother Nature doesn’t deliver, your garden doesn’t have to suffer. We’ve got backup watering equipment and tools that will keep your garden from going thirsty. When planning crop rotations you’ll need to bone up on the plants that you’re growing. Plants which belong to the same family are grouped together (see Useful Tips in Planning Crop Rotation). 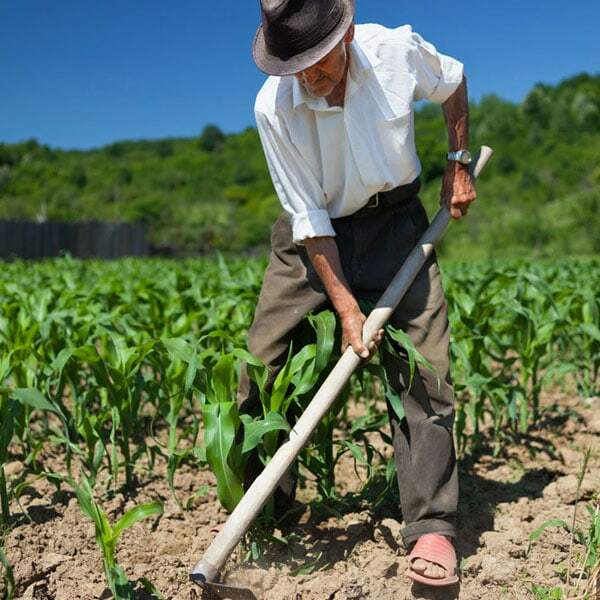 Related crops affect the soil in similar ways and are prone to many of the same pests and diseases. For example, plants like tomatoes, eggplant and peppers (Solanaceae family) are heavy feeders requiring large amounts of nutrients from the soil, while others such as beans, peas and vetches (Fabaceae family) actually pull nitrogen out of the air and help restore the soil. By rotating crops you’ll ensure that valuable nutrients are not depleted and that your garden remains healthy and productive year after year. Hand Weeding. Weeds are easiest to pull when they are small and when the soil is moist. 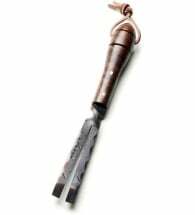 A weeding tool or hoe will simplify this job – maybe even make it enjoyable. Make sure to pull all weeds before they go to seed. Perfect for small garden spaces and raised beds! 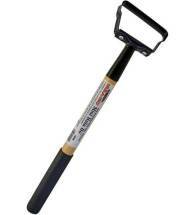 The Mini Hula Ho cuts weeds at their roots with an almost effortless back and forth “hula” motion. Introduced in the early 1960’s The Original Hula-Ho has forever changed the way gardeners weed and cultivate their gardens. Water Management. 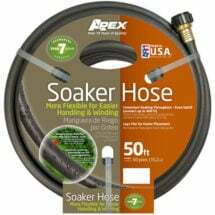 Use drip irrigation or soaker hoses to deliver water only to desirable plants. This method prevents weeds from growing by keeping the soil too dry. Mulching. A thick layer of mulch deprives weeds and their seeds of light. Once your plants have sprouted and are growing well, hand-pull existing weeds and then place a one to four inch layer of straw, compost or grass clippings over the entire bed. Organic mulches have the added benefit of providing organic matter for soil organisms to feed on. Barriers. 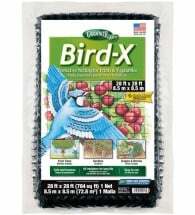 Lay landscape fabric, plastic or newspaper down around plants to block out weeds. This method works well with warm-weather crops such as melons and tomatoes and is ideal for garden paths. Barriers can be anchored with garden pins or covered with a light layer of mulch to keep them in place. Competitive Planting. Vigorous ground covers and plants with dense foliage — living mulches — can shade the ground and prevent weed seeds from germinating. Thyme is a perfect choice for this method. Flaming. 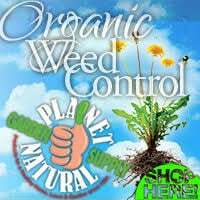 Organic growers have been using heat to control unwanted vegetation for years. The Weed Dragon Torch Kit is perfect for clearing weeds between garden rows, brick paths, fence lines and ditches. Best of all, it uses NO chemical herbicides! Corn Gluten Meal. Applied as a pre-emergent weed killer, corn gluten has been shown to inhibit the growth of dandelions, crabgrass and many other weeds. Warning: Do not apply until all garden seeds have germinated. Natural Herbicides. Eliminate unwanted vegetation fast with broad spectrum natural and organic weed killers. These products degrade rapidly in the environment and will not move through the soil to injure nearby plants. Treated areas may be replanted shortly after application. Here’s your best weapon in the War on Weeds. 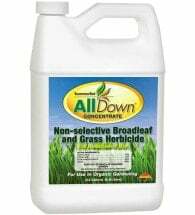 AllDown Organic Herbicide (shown above) contains 23% acetic acid and includes yucca extract — a natural surfactant and penetrating agent — to kill weeds fast! For best results, apply full strength during the early stages of plant growth and during hot, dry weather. Mature plants with developed root systems may require a second application. Develop a garden design based on your average annual rainfall and select native plants that require less water. 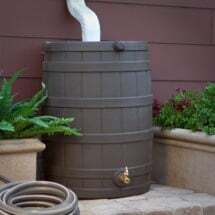 Use rain barrels to collect and store rainwater. It’s free and can be used in the garden during the heat of the summer. Add plenty of decomposed organic matter. Compost helps the soil hold water and adds needed nutrients to the soil. Spread plenty of mulch. Not only does a thick layer of mulch — up to 3 inches — protect the plants’ roots from drying out, but it also keeps weeds in check (see Mulching for a Healthy Landscape). Control weeds. They compete with useful plants for water. Water less frequently, but water deeply making sure to soak the root zone rather than the whole yard. Use drip irrigation. This can save up to 60% of the water used by sprinkler systems. Learn more about drip irrigation here. Water in the early morning to take advantage of the cooler temperatures and reduce evaporation. Group plants according to the amount of water they need. This way you won’t end up over-or-under watering any part of your garden. Replace your lawn with native ground covers, mulches and shade trees. Are your plants jeopardized by a short growing season and the possibility of frost just about any time of the year? That’s the situation I’m faced with here in Montana. 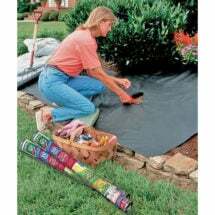 To avoid an Old Man Winter shakedown that wreaks-havoc on your garden in the early spring or late fall, consider providing plant protection with season extenders (see Tools to Extend the Growing Season). By using materials as simple as a plastic milk jug or as elaborate as a greenhouse many organic growers are working around the weather and getting the most out of their gardens. There are many ways to extend the growing season; your choice really depends on the amount of time and money you want to invest. Cold Frames. Relatively inexpensive and easy to build, a cold frame is a rectangular plastic, fiberglass or glass covered box that is placed on the ground to protect plants from cold weather. It has no electrical requirements relying on the sun for its’ source of heat. A cold frame will slow moisture evaporation and warm both the soil and air. Locate cold frames in an area with southern exposure to ensure maximum solar absorption. Hot Beds. 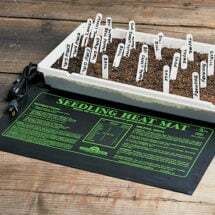 Similar to cold frames, hotbeds use heat mats and soil-heating cables to warm the plant’s root zones. In areas where electricity is not available, growers can use manure enriched with straw to heat the ground just below seed flats. Wall O’ Waters. Lightweight, portable and reusable, these water-filled plastic “teepees” are temporary structures used to protect individual plants. Extremely effective, they trap solar radiation and moisture evaporating from the soil and plants. 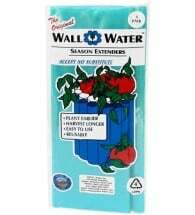 Each Wall O Water encircles an 18-inch diameter area and will protect plants from cold weather (down to 16°F) allowing you to plant tomatoes, peppers and squash 6-8 weeks earlier without fear of freezing. Sold 3 per pack. Floating Row Covers. 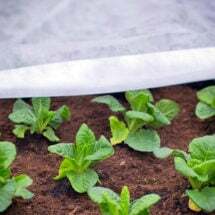 Often made of spun-bond polyester, row covers enhance plant and seedling growth while protecting them from cold, wind and insects. A single layer protects plants from temperatures as low as 29°F; double layer protects to 26°F. Easy to use, they “float” over crops without support. Cloches. The cloche is a portable plant covering that provides shelter from the elements and a greenhouse effect. Cloches can be used over individual plants or made into tunnels to cover a small group of plants. Hotkaps® are an example of a garden cloche made out of reusable wax-paper. They protect plants from the environment (rain, frost or insects) allowing them to develop earlier and stronger. Greenhouses. Once considered a luxury greenhouse kits are now available in a variety of price ranges. A greenhouse can be small and simple, with a minimum investment in materials and equipment, or it can be a fully equipped and automated conservatory.